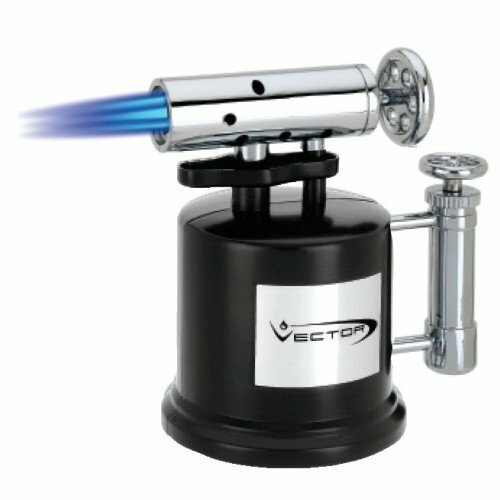 With the Tripump table lighter from Vector, you look forward to lighting your cigar almost as much as you look forward to smoking it. Solid metal table lighter is the perfect tool to light your cigars! Choose the Mega Pump for single torch action, or choose the new TriPump with three powerful torches. The Tri Pump has the same body design as the original MegaPump. Width: 3.25" X Length: 5" X Height: 5.25"
If you have any questions about this product by Vector, contact us by completing and submitting the form below. If you are looking for a specif part number, please include it with your message.